← It’s Providential. And That’s the Bad News. I’ve been thinking about civil liberties. Civil liberties are the things the government(s) aren’t allowed to do to us. Being Americans, our minds go right away to freedom of speech and assembly; of guarantees against cruel and unusual punishment and retroactive definitions of crimes. Then I listened to the opening lectures of John E. Finn of Wesleyan University. He has recorded a course called “Civil Liberties and the Bill of Rights” for The Teaching Company. In Lecture 2, he popped an idea that so stimulated me that I want to write about it even before I hear how he wants to develop it. I already know how I want to develop it. Here’s what that might mean. 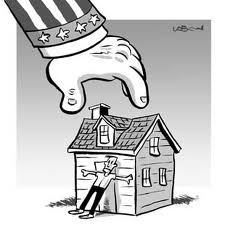 It seems to me that Adams and Madison had a notion of property based on Europe’s reaction to the end of the feudal era. Feudalism was about protection. The lord with his castle walls and moat could protect the serfs from invasion. In between, he could use the serfs pretty much any way he chose. The serf’s didn’t have property, so they didn’t have property rights. The existence of a putative legal right—the famous droit du seigneur— allowing the lord of a medieval estate to take the virginity of his serfs’ maiden daughters indicates that they didn’t have privacy rights either, but that’s another matter. A merchant class developed, which had money and eventually property. It was their control of their property that distinguished this era from the previous one. My argument is that it was this notion of property as something the lord—or the king—cannot do that Adams and Madison had in mind. Finn wants to argue, he says, that privacy is like that to us. We are a deeply interconnected society. We treasure our right to be private the way the Athenians treasured their right to be public. As the government of the 18th Century was denied access to our property, so modern governments must be denied access to our identity and that is what “privacy” is all about. It is about who I am allowed to be. And who I am allowed to be brings us to the question of “private behavior.” Am I private when I am parking my car in a shopping mall parking lot? Possibly. There may well be surveillance cameras around. If there are, you are private unless you do something against the law. If the people watching the surveillance tapes see you breaking the law—you may have been spanking a child, for instance—they may be required to report what they saw. It could very well be a crime for them not to report what they saw. Are there private conversations anymore? Not on Portland’s highly regarded MAX light rail system. The new cars for the rail line come equipped with audio and video monitors. “These are standard,” says Tri-Met, the parent agency. That means that Tri-Met has no particular interest in seeing what you do and in hearing what you say, but they are going to anyway because the cars they bought come with those capacities. The case will be made that they are for protection, as the feudal system was, but I say they are about privacy. And your private conversations probably shouldn’t be conducted by email or any of the social online media either. There’s a record of every email stroke you make and these records can, under certain circumstances, be subpoenaed. The courts are now deciding whether employees have the right to “personal” social media, like Facebook or whether part of the job is turning your passwords over to the employer. If this right exists—we’re still working on it—it would mean that the employer cannot come into your “cyberspace home” and see what you’ve been doing there. Your “private” online searches aren’t private either if Google can be forced to hand their records—that’s their records of what you do—over to the government and they aren’t private if Google or Bing are free to sell them to a third party either. And this doesn’t ever raise the question of the warrantless wiretapping that has come to us courtesy of the PATRIOT Act and that the Obama administration has so far shown no interest in disconnecting. 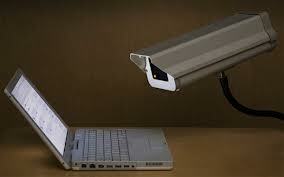 Will the defense of civil liberties provide a hedge against government intrusions on privacy? Probably not. But I don’t think we’ve hit the worst of it yet. What if we could be enticed into giving up our privacy freely for some commercial consideration or another? That would be worse, wouldn’t it? Worse to give it away than to have it taken away? I’ve been thinking about Disneyland in a new way since Bertram Gross wrote, in his book Friendly Fascism, that when—my recollection is that he said “when,” not “if”—fascism comes to the U. S., it isn’t going to be jackbooted thugs. It’s going to look like Disneyland. It struck me that our current vigilance in protecting our property would be like our vigilance against jackbooted thugs and our failure to be vigilant about our privacy would be like our failure to be vigilant and selling our personal information to Disneyland. Here’s what that would look like. How does that sound? I’ll bet it sounds pretty good to Caitlin. To me, it sounds like the old TV ads for sugared cereals, where the kids were instructed to tell their parents that the kids wanted Sugarpuffies and nothing else. Kids deserve Sugarpuffies. And only parents who didn’t know the worth of their children would deny them such a treat for breakfast every morning. This approach led to awful rows in the cereal isles of supermarkets and most of the ones I heard ended with the parent agreeing to buy the Sugarpuffies, although not on the first—and sometimes not on the third—pass. 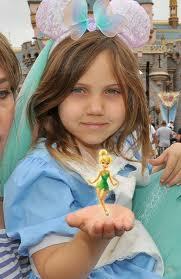 So Disney now markets to Caitlin. If it isn’t this year, it will be next year. They portray the scene. How wonderful that Cinderella knows who you are! Who would deny a daughter an experience like that? And all you need to do is buy a bracelet, give a lot of personal information, including your credit card number, to the folks who run the park and wear a GPS chip everywhere in the park you go. I don’t expect Professor Finn to follow this line as far as the Disneyland example. I think he will want to talk about phone and video and possibly cybersurveillance. Things the government might want to do. He might even get into the government commandeering emails and records of searches. But if we can be nagged into selling our privacy, cybersuveillance will be the least of our worries.